The UFC 148 roster is filling up at a fast and furious pace. 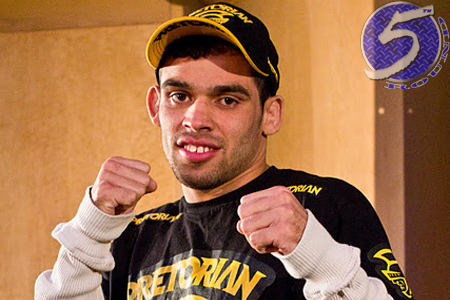 Moments after adding a middleweight brawl between Michael Bisping and Tim Boetsch to the lineup, the organization announced fast-rising bantamweight Renan Barao (Pictured) will battle Jeff Hougland in the July 7th event. After losing his first professional fight, Barao has gone on to rattle off 28 consecutive victories (including 1 No Contest). The 25-year-old most recently posted a convincing unanimous decision win over Scott Jorgensen at UFC 143. Hougland will clearly have his work cut out for him in trying to collect his 10th straight win. “Hellbound” has been riding the pine since defeating Donny Walker via decision in his big league debut at UFC 132. MGM Grand Garden Arena, Las Vegas, Nevada will host the festivities. Bantamweight champ Dominick Cruz is expected to headline the event opposite Urijah Faber.